Sims 2 and 3 both had pets expansions, which were among the last expansions to come out. 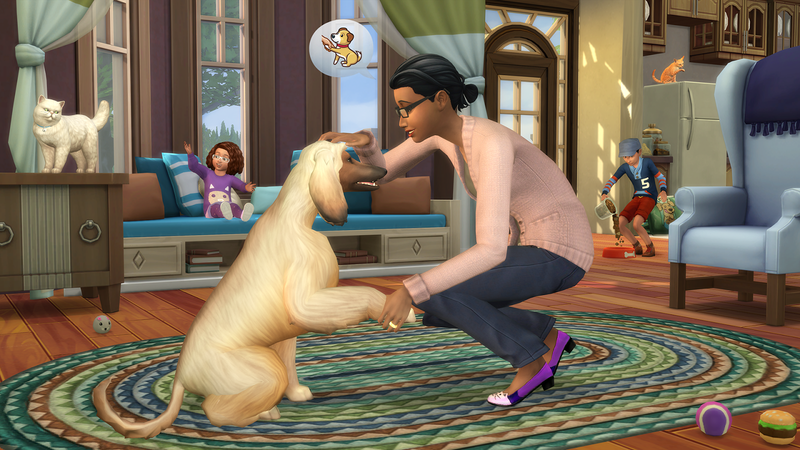 Sims fans have been clamouring for pets for The Sim 4, because I mean, pets in a video game! The pack will include a “Create A Pet” tool to customize your domesticated animals. “For the first time ever, special outfits and accessories will also be available to finish off the look, and tailored personality traits ensure no two pets are alike inside-or-out,” The Sims’s team writes in a press release. The pack will also come with a new veterinarian career, as well as a new neighborhood, Brindleton Bay. “Here Sims and their pets can play fetch near the harbor docks, take a walk to the lighthouse, visit a park to set up an obstacle course, meet other pet-loving locals, and even find stray pets that Sims can take in as their own!” The Sims’s team writes. I had long convinced myself that I didn’t need to have pets to enjoy The Sims 4. I’ve always wanted a cat or a dog of my own, though, and having one in The Sims might be a fun replacement. Still, last time I had a cat in The Sims 3 it got taken away for neglect so, uh, I just hope things are a little more chill this time.